Losing a tooth as a kid means a visit from the tooth fairy with a sizable donation made under your pillow. However, when a tooth goes missing as an adult, it only means gaps in your smile and extensive dental work. As you peruse the Internet for tooth replacement solutions, the options seem endless. Which one is right for you? Sitting down with an experienced cosmetic and restorative dentist is key to helping you gain back your smile. Missing teeth? We have you covered. At Krimsky Dental, we offer a variety of tooth replacement options, including dental bridges, dentures, and dental implants. During your consultation, you will have the opportunity to meet with Plantation, FL based dentist Dr. Peter Krimsky during which he will perform a thorough examination and give his expert opinion on which option would be best suited for you. Because the tooth replacement options available can seem overwhelming at first, we have put together a quick description of three of the best to help bring a little more clarity. 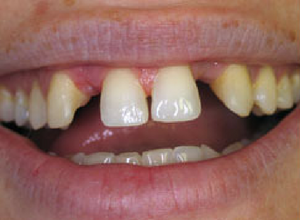 If tooth loss is isolated to one section of your mouth and left you with gaps in your smile caused by one to three missing teeth – a dental bridge is often recommended. It does just as it’s name implies – bridges the gap between two remaining teeth. 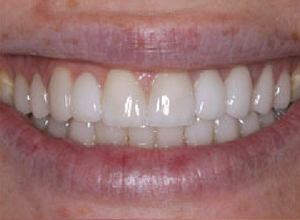 A dental bridge is typically made from porcelain to provide both sturdy and realistic results. Created from one piece of porcelain, it will consist of at least one artificial tooth flanked by two dental crowns. The crowns will be permanently secured to the teeth on either side of the gap. We offer both removable partial dentures and full dentures. The type recommended will depend on the amount of teeth missing. If tooth loss is sporadic, but you still have healthy remaining teeth throughout your mouth, a partial denture can help fill in the gaps. Your oral device will consist of replacement teeth attached to a gum-colored acrylic base fastened to a metal framework with small clasps. It will fit inside your mouth much like a traditional retainer and can be easily removed for cleaning. A full denture is recommended when patients are missing an entire arch of teeth in either their upper or lower jaw. Also made from realistic looking materials designed to match the aesthetics of your former smile, the full denture will rest directly over your gums. Both suction and an adhesive will hold the device in place. It can also be removed nightly for cleaning and to rest your gums. As the newest restorative option, dental implants are used to provide a solid foundation for a dental crown, dental bridge, or full arch denture. Typically made from titanium, these small posts are inserted into your jawbone through a quick surgical procedure. Over the course of the next four to six months, the implants will integrate with surrounding tissues before a customized restoration is attached. An implant-supported restoration is the only tooth replacement solution available that can replace the entire tooth from root to crown. It provides unmatched durability and longer-lasting results. Contact our Plantation, FL dental office today to schedule your consultation with Dr. Krimsky. You can either fill out our quick and easy contact form, or give us a call at 954-584-6842 to schedule an appointment.